Spock’s Beard. Just the name is enough to conjure up thoughts of life in a parallel universe. But if you aren’t yet a fan of America’s best kept secret in the world of classic progressive rock, have no fear. There are no songs about life aboard space ships, nor unicorns, for that matter. 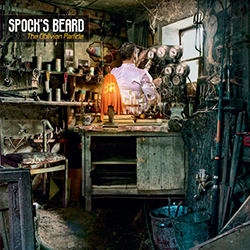 To the uninitiated, the music of Spock’s Beard would generally remind listeners of bands such as Yes and Genesis, frequently flowing from lengthy instrumental works to more concise rock songs with a ‘70s pop sensibility. 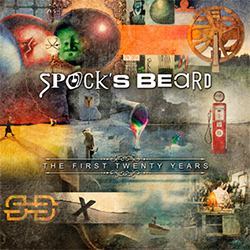 Spock’s Beard is highly praised for their extraordinary musicianship and stellar multi-part vocal harmonies, and as with the British supergroup to whom they are most often compared, a number of musicians have passed through the band over the nearly twenty-five years that they have been making music. The band was founded by brothers Alan Morse (guitars) and Neal Morse (vocals, keyboards), though Neal eventually left the band to pursue his extraordinary solo career. Most of the band’s career has included bassist Dave Meros and keyboardist Ryo Okumoto, while the first half of the band’s career featured drummer Nick D’Virgilio. Drummer Jimmy Keegan has been with the band since 2002 (first as the band’s live drummer while Nick was out front on vocals following Neal’s split, then later as the studio drummer, too) and vocalist/multi-instrumentalist Ted Leonard (who is also the lead singer for the progressive rock band, Enchant) came on board two studio albums ago. Got all that? The sound and style of the band has evolved over the years, and even with the added pop sensibility that Ted Leonard has brought to the band over the past five years—ironic given that his other band is another progressive rock band, their sound always remains unquestionably Spock’s Beard, whether they are performing intricate progressive rock or toe tapping, melodic pop rock, and regardless of who takes the role of lead vocalist on a given song. This is an outstanding band any way you slice it, and their latest CD, The Oblivion Particle, makes a great starting point for those of you ready to explore this notable band for the first time. Another great choice? At the time we published this feature, you can pre-order the band’s new anthology collection, aptly titled The First Twenty Years. In addition to a stunning collection of classic Spock’s Beard material, Neal Morse contributed a new song for the collection—a nearly twenty-minute long opus that includes performances from every current and former band member! We recently met up with Alan Morse, Dave Meros, and Ryo Okumoto at New York City’s B.B. King’s House of Blues to talk about all things Spock before a fantastic performance.